A full service hair salon and art gallery. 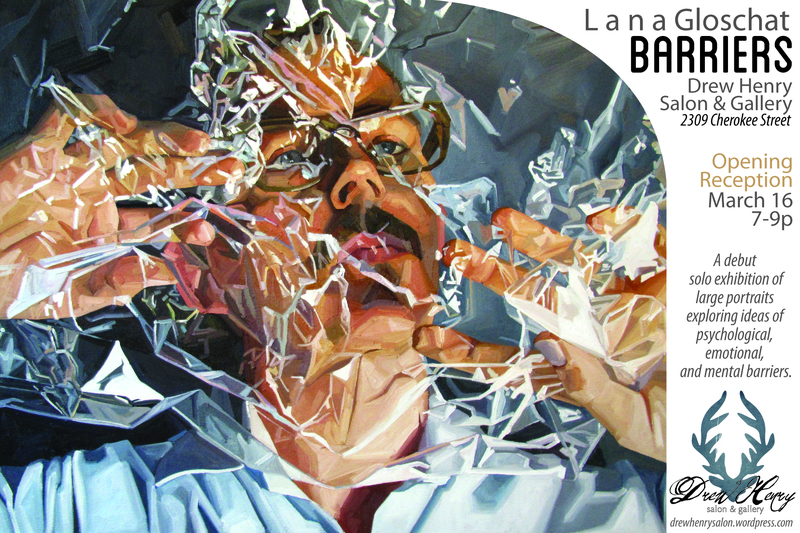 Lana Gloschat debuts in her first solo exhibition, “Barriers” at Drew Henry Gallery and Salon, with a body of unique and alternative portraiture. On Saturday March 16th, Drew Henry will be hosting an opening reception for Gloschat’s show, “Barriers,” from 7-9pm. This collection of large portraits explores the idea of psychological, emotional, and mental barriers, and opens a compelling dialogue for the viewers to discuss the idea of barriers on both a personal and global level.